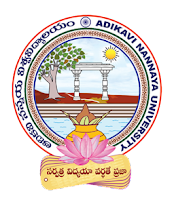 AKNUCET NANNAYACET 2018 Notification online Application: AKNUCET 2018 Notification and Application will be Released at Official website http://www.aknudoa.in Download AKNUCET 2018, Adikavi Nannaya University was invited application for Adikavi Nannaya University Common Entrance Test (AKNUCET) 2018 which are admission into PG Courses of M.sc, M.Com, M.A, Science, Commerce, Arts etc courses in the university, courses for the academic year 2018-2019. 1. Candidates who have already passed or appearing for the qualifying degree examination are eligible for AKNUCET-2018. 3. Candidates will be admitted to the MSc / MA Courses based on their rank in AKNUCET-2018 or on the basis of their marks / grade in the Bachelors Degree. 8. Allowing a candidate for AKNUCET-2018 does not guarantee a right of admission into a course of study. Note: Stay with us we will update all the syllabus, model papers, syllabus papers ext.. regarding AKNUCET 2018.